Pass the end around the post twice. This takes the strain while you tie the knot. Go around the standing end to make the first Half Hitch. Pull this tight. Continue around in the same direction to make the second Half Hitch. 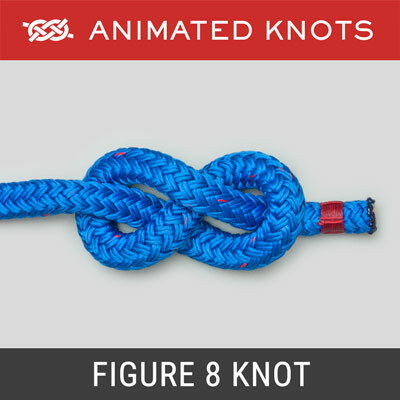 Pull tight to complete the knot. Two or More Half Hitches. 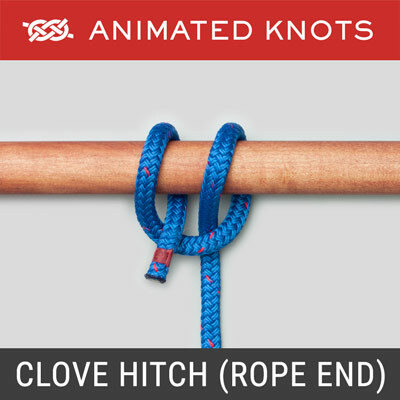 The two Half Hitches actually form a clove hitch round the standing end. However, it is common to see an additional one, or more Half Hitches - either to make the knot more secure or to use up excess line. 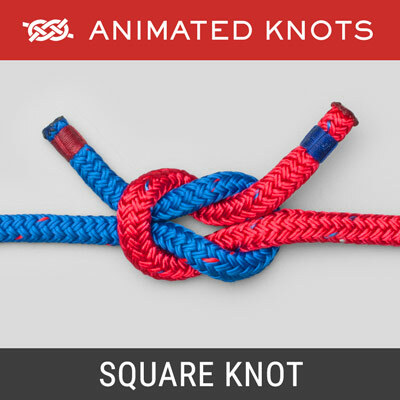 Tying the Knot: Learn to tie the Half Hitches with one hand! 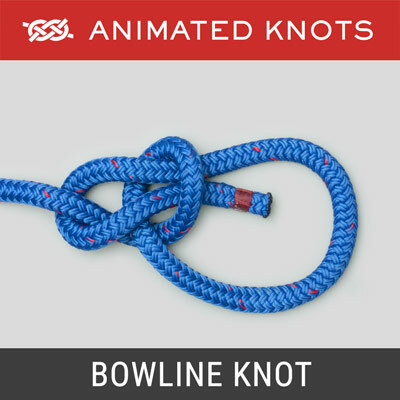 This allows you to use the other hand to take the strain of a vessel that may easily pull with a force far greater than you could otherwise control. As emphasized above, when dealing with such force, use as many turns on the post as are necessary to control the strain. Direction: Always tie the Half Hitches in the same 'direction'. 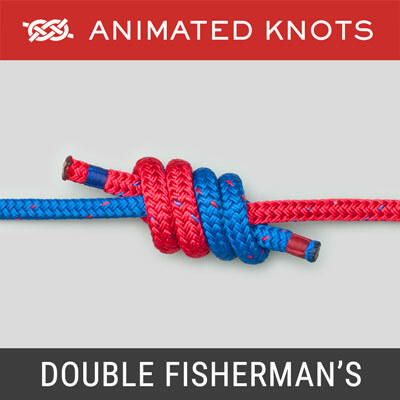 If you start the first Half Hitch with the tail passing away from you above the rope, then do the same with the next (and the next). 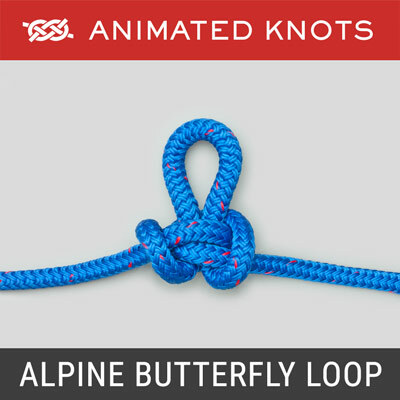 Variation Using a Bight: When there is a long tail, the Half Hitches can be tied using a bight (loop) instead of the end. This consumes excess rope which may otherwise hang in the way or require coiling.